NEW Online Classes and Summer Workshops and more! We are very happy to announce our brand new online course, Game Audio 101. This basics of game audio overview is perfect for both teachers, students and professionals. Built in the Canvas learning management system, this course will boost your knowledge and provide insight in to the amazing world of game sound. 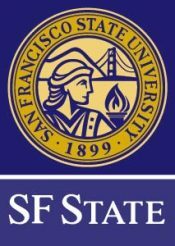 Hands on Intensive Workshop at SF STATE, Summer 2019! In conjunction with SFSU we are proud to offer our 2nd annual summer hands on game audio workshop. This workshop is the perfect companion to the 101 online course and centers around working hands on with our Unity Game Lessons. In this workshop, you will build upon your theoretical knowledge of game sound to produce and implement audio directly into 2d, 3d and VR games. All of our courses, workshops, and game lessons are designed to break down and expose the essentials of game audio workflow. Maybe you’re a game designer who needs to understand more about how sound works, or a composer or sound designer in the Film/TV industry with a desire to break into the game business, perhaps you’re already a professional audio instructor or teacher who has been tasked with creating a course in game audio at your school or institution. From the beginning designer just starting out, to seasoned veterans, don’t worry, these courses have you covered! Game Audio Institute is now offering a Canvas based online course, with more to follow! This course is available for Students, Teachers and Schools – anyone anywhere interested in furthering their knowledge concerning the complex and dynamic world of sounds for games and interactive environments. If you’ve taken our online Game Audio 101 course, or are already knowledgeable about game audio concepts and wish to participate in intense hands-on learning, try our Game Audio Summer Intensive at SFSU. We’ll be covering Implementation in Unity, middleware with FMOD, and spatialized audio for VR/AR as well! A fun and intensive hands on workshop and practical training in the art and craft of Game Audio with an emphasis on the exciting new worlds of Virtual, Augmented and Mixed Reality! We’re also available to teach onsite workshops or give presentations at YOUR school or organization. Just contact us about booking one by emailing steve (at) gameaudioinstitute.com or scott (at) gameaudioinstitute.com. We’ll get back to you and work out the best format and configuration for your needs.